For healthcare brands and providers, email marketing has become more important than ever. In an age of ever-changing social platforms and new communication methods, email remains a reliable, powerful digital marketing channel that continues to connect with all demographics. In fact, a recent survey found that more than two-thirds of US consumers of all ages still want to receive brand communications via email, including the majority of Millennials, Gen Xers, and Baby Boomers. However, to succeed with email marketing it isn’t enough to merely quickly craft a message and hit send. 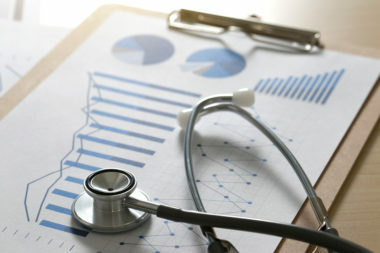 Connecting consistently with audiences—especially in the healthcare space—requires a well-considered strategy and high-quality execution. In particular, we recommend following these six key email best practices to ensure that your healthcare campaigns are effective. One of the major differences between healthcare and most other industries is the absolute importance of privacy. Always remember that even the most benign healthcare message is viewed as very personal information by many people. Consumers are deeply worried about the data that healthcare brands/providers hold, and probably rightfully so. According to a survey of health industry workers, 63% believe their company/organization has experienced a data breach. The key to long-term email marketing effectiveness in healthcare is trust. Therefore, start by focusing on ensuring that all your systems are secure. This includes access to personal information as well as access to your marketing platforms. Also, if applicable, use email marketing tools that are HIPAA compliant. Growing email lists through quick-and-easy methods, such as buying databases or swapping information with other brands, can be very tempting. Our advice: Don’t do it. Building your own lists only via opt-in—where consumers explicitly agree to receive email communications—is more time consuming, but also a much better approach. Why? First, because the quality of these lists is better: you’ll see much higher engagement and many fewer unsubscribes over time. Second, the easiest way to create long-lasting damage to your brand/organization is to send a campaign without permission; that’s why email marketing platforms like Mailchimp now have restricted methods for building lists. This potential damage is even worse for healthcare-related messages. Also, after you’ve successfully built an opt-in list, don’t forget to guard it carefully. If you share the information with other marketers or don’t protect the data, you’ll undo all your hard work. What’s the biggest email mistake marketers make? It’s simple: sending too many messages. When asked why they unsubscribe from receiving communications from brands/organizations, two-thirds of consumers say the primary reason is because of too many emails. This, of course, makes sense. We all know from personal experience that inboxes are filled with more and more messages, and that it’s a struggle to keep up. Yet all too often marketers forget this fact. If you want to maintain engagement levels and ensure that your email lists remain stable, be continually mindful of email frequency. Resist sending too many special notices or one-time offers. These messages may help in the short run, but in the long run, you’ll lose valuable subscribers. For a long time, the advice to marketers has been to keep mobile in mind when crafting email messages. It’s time for that to change. No longer is it enough to be mobile-also; effective email marketing requires you to be mobile-first. Why? Because more than half (54%) of messages are now are opened on mobile devices, and that share is predicted to increase over the next year. Being mobile-first is partially about the messages themselves—it’s essential to have a design that displays well across all devices—but it goes beyond that. Are you optimizing all the pages that are linked to from your email campaigns? Have you taken into account cross-device behavior such as browsing on a phone and then taking action on a computer? Have you made use of smartphone opportunities such as location integrations and health monitoring? Increasingly, all of this is not just nice, but essential. Some 51% of marketers rank segmentation as the single most-effective email marketing tactic they employ. This is largely because of relevancy. The more segmented a list is, the more relevant the messaging, and the more relevant the messaging is, the more likely it is that recipients will take action. This general trend is amplified with healthcare. The needs of healthcare consumers and patients are so varied that broad messaging usually falls flat. To truly engage your audiences, it’s necessary to segment your lists properly and provide the most relevant messaging possible. Along similar lines, going a step beyond segmentation and engaging in personalized one-to-one messaging based on specific information/behavior can have an even greater impact. Fundamentally, when it comes to healthcare emails, the more targeted you can get with an email, the more likely it is that the recipient will engage. 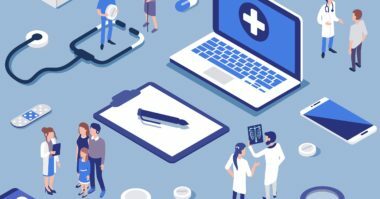 A great advantage that healthcare marketers have over most other verticals is that the vast majority of consumers are deeply interested in the topic. People don’t have to be convinced to care about health and wellness. Given this, think of every email message as an opportunity to engage the recipient more deeply. This can take the form of providing links to additional information on your website, encouraging people to follow your social media accounts, or, if relevant, simply encouraging the sharing of the message. The payoff of these simple additions can be huge. You’re speaking to individuals who are clearly at least somewhat interested in your healthcare products/services and who have made the effort to look at your message. Capitalize on it. Ultimately, people want to engage with healthcare brands. If you build trust, carefully guard privacy, remain mindful of frequency, provide a good mobile experience, segment well, and include compelling calls to action, you’ll be well poised for consistent, strong engagement with your email marketing campaigns. 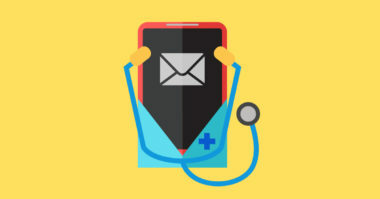 Check up on the latest trends in healthcare email marketing. Contact MDG Advertising today at 561-338-7797 or visit mdgadvertising.com.